Also called lipoplasty or suction lipectomy, liposuction is the surgical removal of localized or regional excess fatty tissue. There are three variations to this procedure. 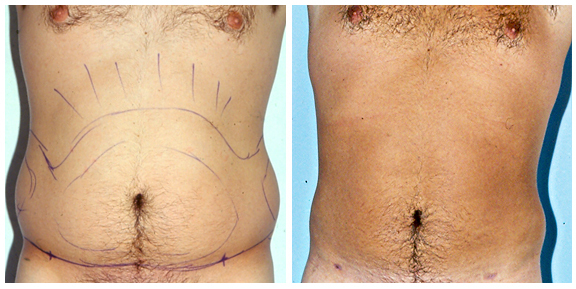 Traditional liposuction - defined as surgical suctioning of excess fat deposits. The tumescent or super-wet technique that requires an infusion of saline solution with added adrenaline and possibly anesthetic prior to removal of excess fat. Ultrasound - assisted lipoplasty or UAL, where ultrasonic energy is used to liquefy excess fat prior to surgical suctioning. Dr. Miller participates with most major insurance plans and, when appropriate, will submit claims on your behalf. For cosmetic procedures, you will be provided with a detailed fee quote. Most patients will elect to pay for those services using cash, credit card or a bank check. Options for flexible financing are available at carecredit.com.